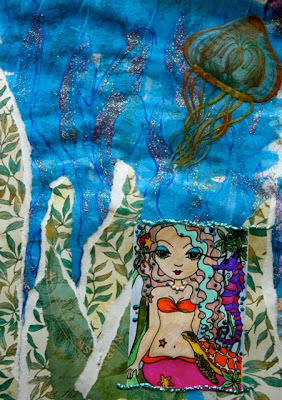 As promised last week, here is a bold example using Maigan Lynn's Ocean Friends digital stamp. This is a page, ready to use, for my art journal. For this page I used very similar supplies to the cards I made last week! Have fun and get messy! I love the mermaid with a streak of teal hair and the bright colors for her friends and the fauna. 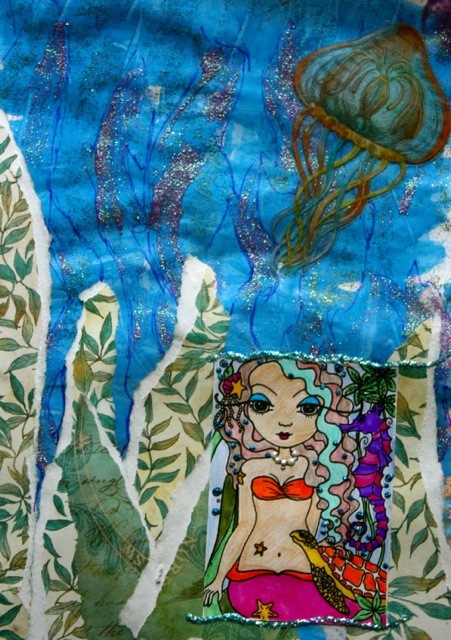 Maigan's images work so well on art journal pages! Love your page!